How long will a glazed ham last for? I have a ham, which I glazed. It was in a vac pack, and does not expire for 2 months. Since I have removed it from the vac pack, glazed and cooked it. How long will it last in the fridge? Also what is the best way to keep it? And how should I store the remainder in the freezer? Cut it up into steaks? Cubes? etc? My question from last year, still not really sure what to do. 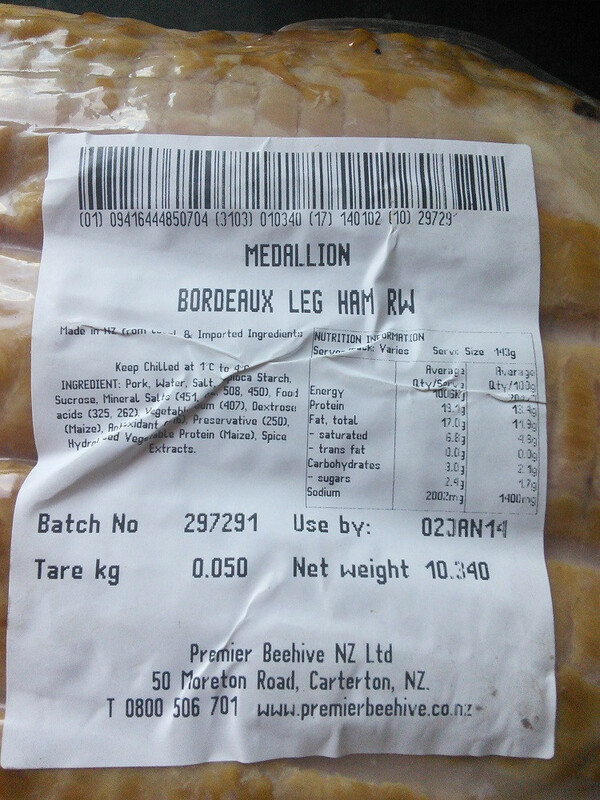 I have a 10kg ham in a vac pack (not frozen). It says use by 2nd of January. I'm going to glaze and cook it. So how long can I keep it in a fridge? 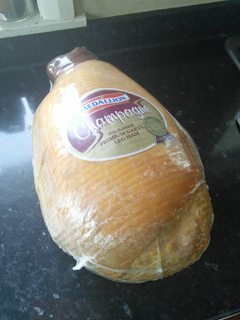 Ham can be different, as it's salt cured, so depending on the salt content can last longer without freezing it. For maximum storage time, the less surface area (larger pieces) the better. Diced ham will get freezer burnt much faster than just bagging a 1lb chunk. As with freezing most meats, you want to double wrap it to prevent moisture loss (and freezer burn). So, I'd go ahead and ask yourself how you envision using it up, and how quickly. For instance, if you think you'll make a pot of ham and black bean soup in the next month or so, go ahead and dice it now and freeze it, and you can just pull and dump it when it's time. If you like ham steaks, slice them up, wrap and freeze those -- you can always chop it up further to fold into a casserole once it's thawed, if you have to. If you have so much that you think you're going to get sick of ham and need a break, freeze it in a large chunk ... but you'll want to give it a day to defrost in the fridge so you can actually cut into it when you want to use it. How you store the remainder (whole, slicing, cubing) is up to you, and is more about what is convenient for how you plan to use the left-overs than anything else. In any case, to help prevent it drying out or picking up odors from the other item in the refrigerator, you will want to wrap it well or store it in a sealed container. 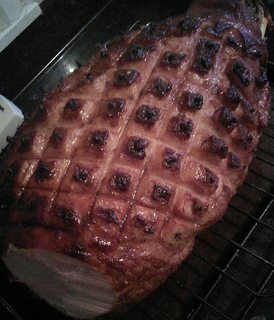 It is fine, most people are not familiar with a fresh ham, being it is the leg of the pig used for cured ham, it will last another week or so, when you go to cook it, wash the rind, make some slits with a sharp knife to have the fat render and the crackling get crisp, it takes awhile as it is fairly big so brown it for 20 minutes at 350 d F drop the heat for 3-4 hours at 325 d F, seasonings are find, but the meat will not get much, maybe the night before get it ready make some wholes with the same knife you use on the rind, slice up a few cloves of garlic and insert them into the meaty portion and the roast the next day, if it get to brown, cover it with foil to prevent it from burning, I have not had one in years, my mother usually got one for Easter, it will last awhile, leftover are very possible. Not the answer you're looking for? Browse other questions tagged storage-method storage-lifetime pork ham storage or ask your own question. Keeping left-over pan sauces longer?